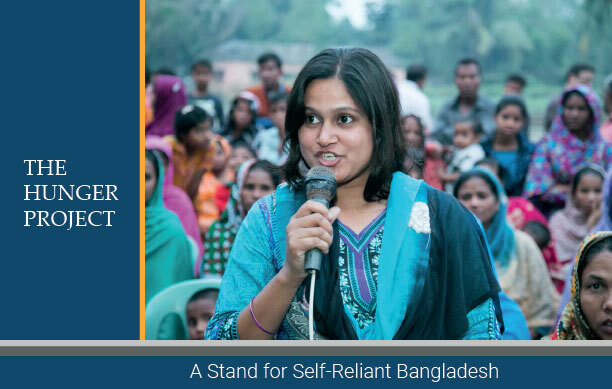 The Hunger Project-Bangladesh has launched POWER project at Dumuria Upazila in Khulna district on 15th April, 2015 to empower women leaders who are effectively participate in local politics and address women’s rights, and violence against women in their communities. The project will continue from 2015 to 2017 for 3 years. It has been carried over 14 Unions of Dumuria Upazilla which are Atlia, Kharnia, Gutudia, Dumuria, Dhamalia, Bhandarpara, Magurkhali, Maguraghona, Rangpur, Raghunathpur, Rudhaghara, Sarappur, Sobhana and Sahas. The lack of meaningful involvement of women in local decision-making; which is both caused by inequality, discrimination and violence and further enhances inequality, discrimination and violence against women in the private and public sphere etc. problems are addressing the project in the respective working unions through different activities. The project relevant stakeholders are Local Leaders, Mass People, Grass-root Women Leaders, Religious Leaders, Elected Peoples representatives, Students, Teachers, Youth, Union Parishad Chairmen and Members (Men & Women), Chairmen and Members of Upazila Parishad, Local Administration, Officers in charge (Police station), Upazila Nirbahi Officer, Upazila Education Officer, Upazila Women Officer, Local development activists, NGO representatives, Local Health care givers, Local Journalists, Advocates, Local and National level policy makers etc. The Project important activities are animators training (men and women), women leadership development training, training on gender and GBV for elected representatives, mass action campaigns for halting early marriage, gender base violence, women leaders convention at Upazila/District level, International Women’s Day, National Girl child day and Human rights day celebration, roundtable discussion, support Union Parishad to organize ward shava and mobilize women to participate in the ward shava etc. Beside these activities the project will mobilize women candidates in the election, activate and strengthening the Union women and child oppression prevention committee, court-yard meetings with female on political citizenship etc. The project will also provide legal support to the victim as per need.